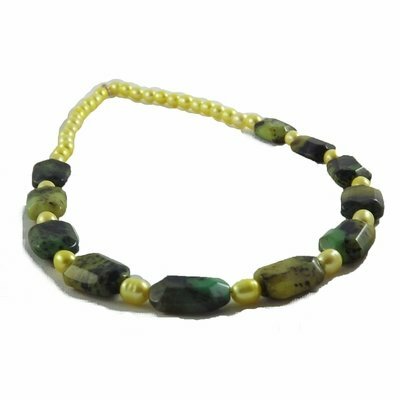 Yellow pearls team with the yellow, green and brown shades of Chinese chrysoprase to create the look and feel of early spring. You can almost smell the freshness of spring! This beauty, at 25 inches, will go perfectly with all of your tops.